Deborah Kafoury is a member of one of Oregon’s most visible political clans. For decades, Steve, Greg, Gretchen, Deborah and a few more I have forgotten, have represented the low hanging fruit on the far left side of Oregon’s political family tree. The family is more prolific than the Bushes. It’s more numerous than Bill Clinton’s sexual conquests. The Kennedy clan’s far left piety has nothing on the Kafoury church of the far left. Kafoury clan members grow up believing a government job is their birth right. One thing the Kafoury clan would never be confused of being is in any way standing for traditional family values–except theirs, that is. Abortion on demand for all 41 weeks of pregnancy? Hell yes. A typo in a family friendly voters guide by the Oregon Family Council, however, has the candidate for Multnomah County Chair upset and running to the reliably sympathetic media for help. Kafoury calls the typo a political dirty trick considering voters already have their ballots in hand. Kafoury’s pro abortion stance is the only mistake on the voter guide. 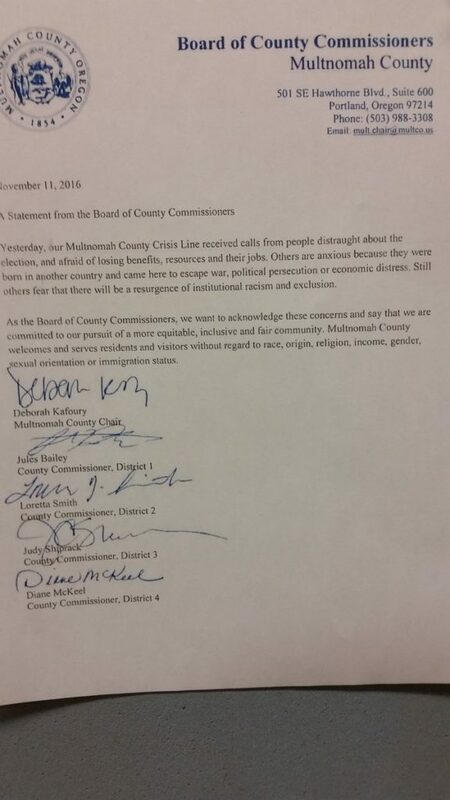 The Oregon Family Council says it did not make the mistake on purpose. It sounds like Deborah Kafoury herself is perhaps the biggest mistake on the voters guide.